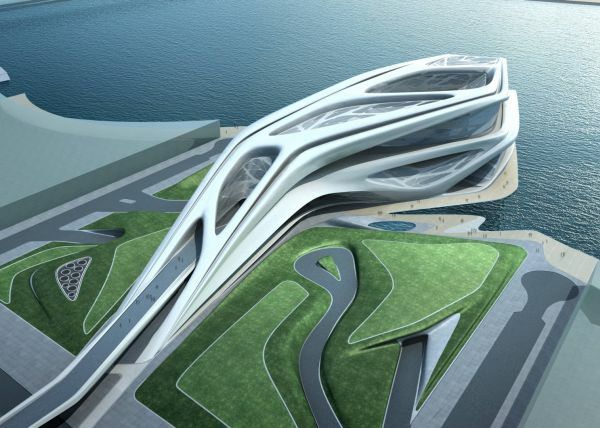 Zaha Hadid is a name that is synonymous with stunning design and innovative architecture. 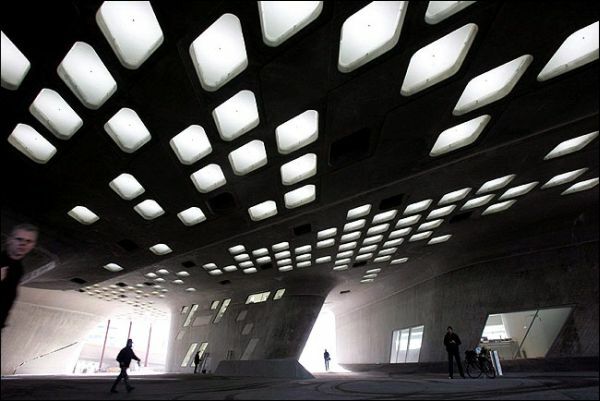 She was the first woman to win the Pritzker Architecture Prize way back in 2004. 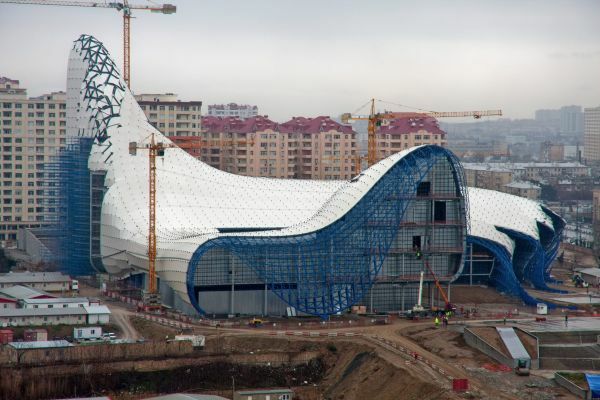 With over 950 projects that are spread across 44 countries, it has become a trusted brand that is easily recognized and is revered in the world of architecture. 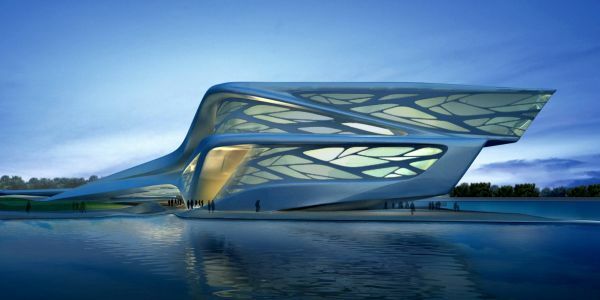 Over the years Zaha Hadid Architects produced some of the most amazing and futuristic buildings ever conceived. 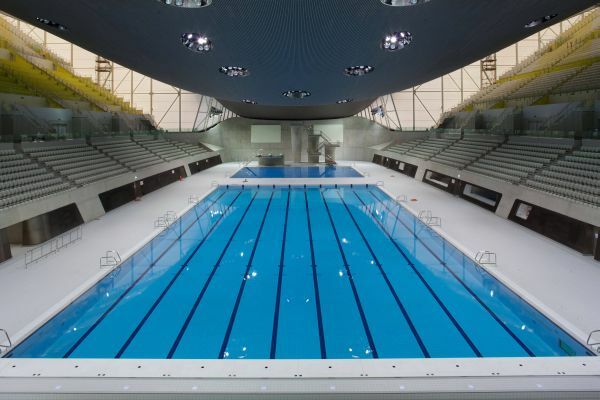 While Zaha Hadid Architects might have come up with far more amazing buildings with fascinating form, the London Aquatics Center is unarguably the most viewed. 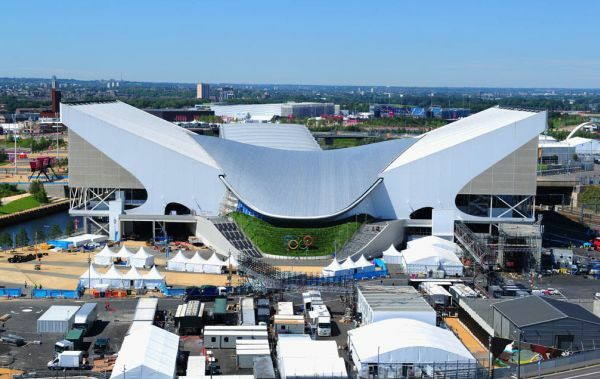 The focal point to the heroics of Michael Phelps the Aquatics Center was described by Jacques Rogge, IOC President, as a ‘masterpiece’. Created to mimic the motion of water, its elegant geometry along with fascinating curves ensures it stands out from the crowd. 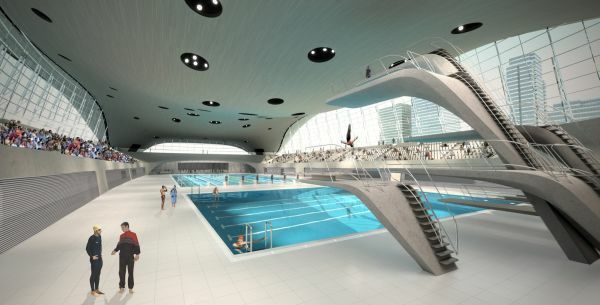 An undulating roof sweeps up from the ground as a wave, enclosing the pools of the Center with its unifying gesture. It is all about thinking in more than just one dimension. 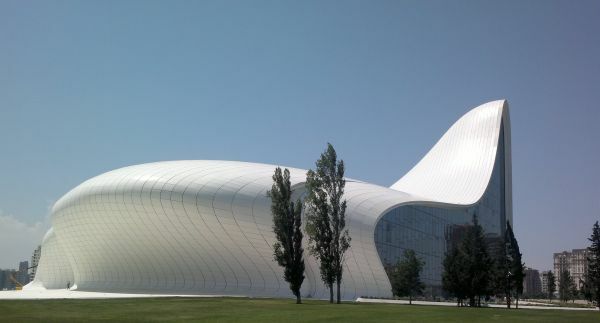 Haydar Aliyev Cultural Center in Baku, Azerbaijan is a lot more than just another fabulous design dished out by Zaha Hadid. 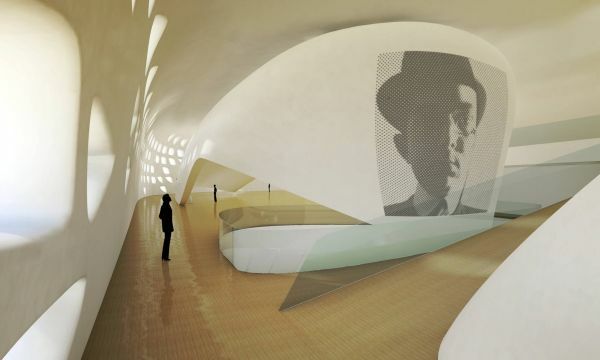 The structure is slated to play a pivotal role in the revitalization of the city of Baku. 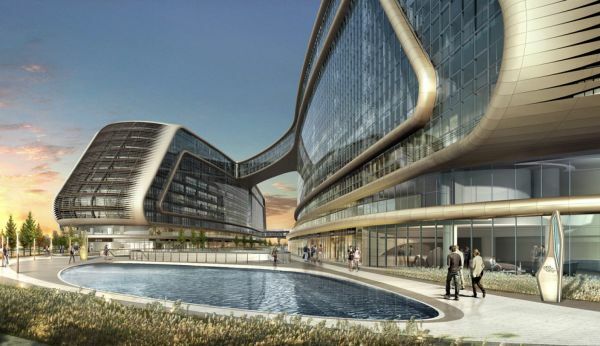 Its uber-modern form and cutting-edge design elevate the entire neighborhood and give Baku an urban and contemporary atmosphere. Fluid design that seems to emerge through the ‘folding of the surrounded landscape’ uses a glass façade for ample natural ventilation. 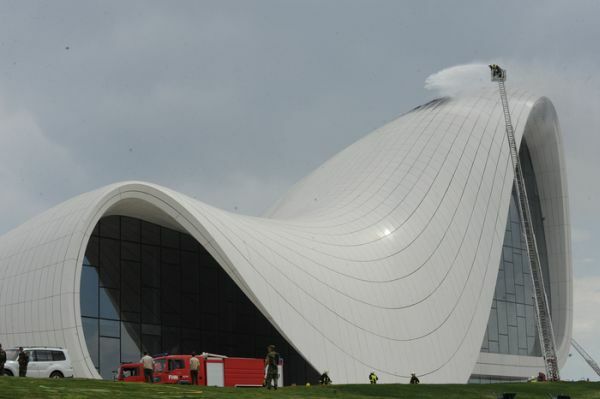 Housing within a library, a museum and a conference center, the Heydar Aliyev Center has become an iconic symbol of modern Baku. So famous and appealing is its form that it has even made it on to one of Azerbaijan’s stamps! 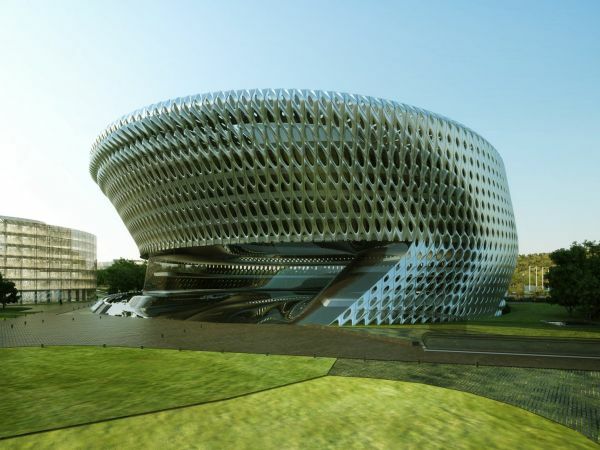 Set to be located on Saadiyat Island in Abu Dhabi, the Performing Arts Centre (PAC) is more a work of art rather than just a building. 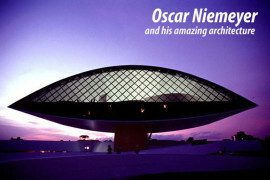 Housing five theaters, music hall, concert hall and opera house, the structure seems dynamic and biological in nature. 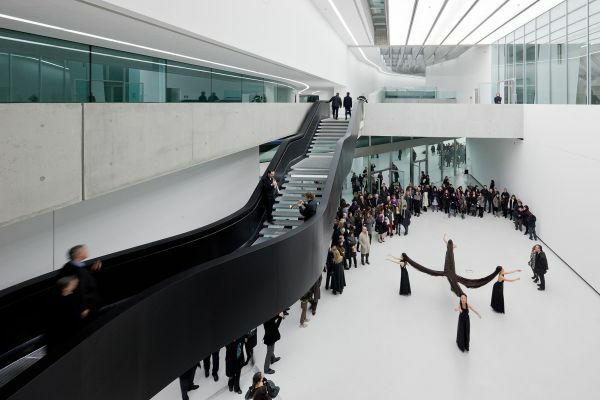 The 10 story tall structure seems like an out-stretched branch that is crawling towards the sea nearby and yet is composed of complex and intricate system of paths that give it a remarkable appearance. 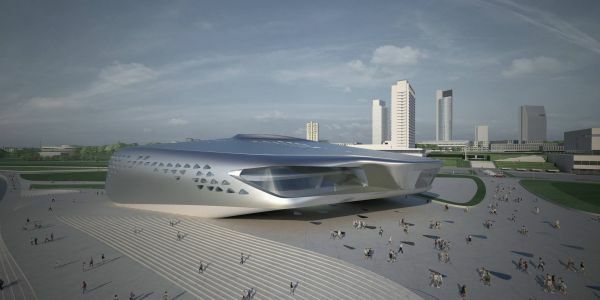 conceived as a sculptural form, emerging naturally from the intersection of pedestrian pathways within a new cultural district – a growing organism that spreads through successive branches which form the structure like ‘fruits on the vine’. 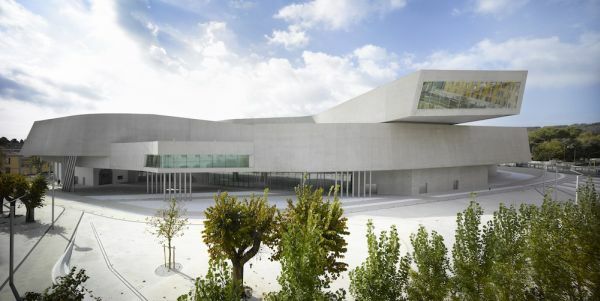 One of Zaha Hadid’s most critically acclaimed work; the MAXXI Museum of 21st Century Arts in Rome bagged the Stirling Prize for architecture in 2010. 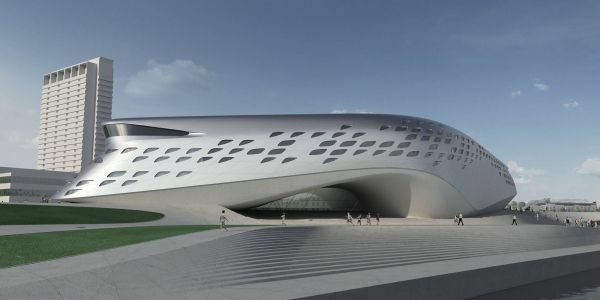 This modern masterpiece employs an open design that accentuates the principles of innovation and multiculturalism. 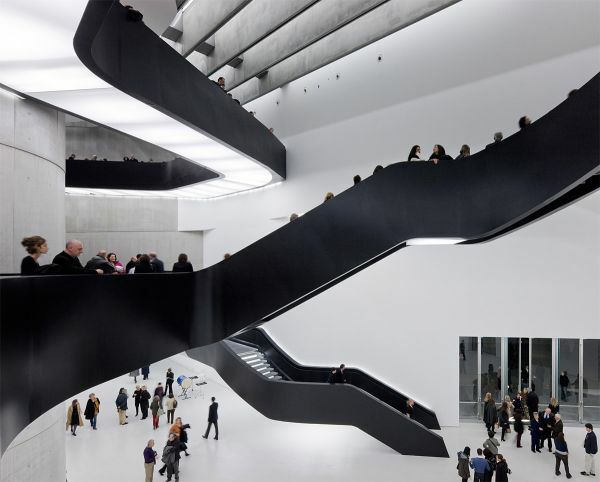 The building’s design moves away from the traditional idea of a museum being a sterile cubic structure that barely interacts with the artwork displayed inside. 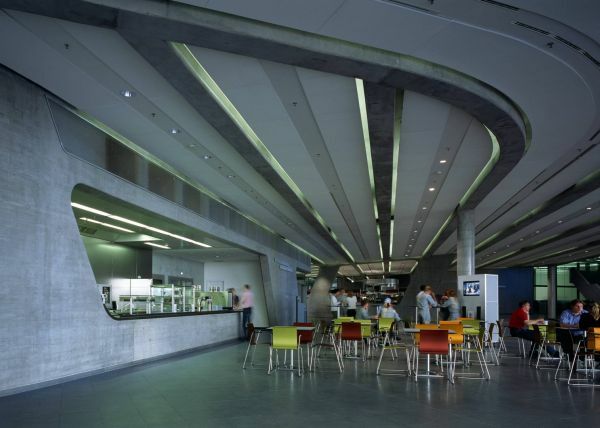 Intersecting walls create a flowing and dynamic movement between the interiors and the exterior of the building. 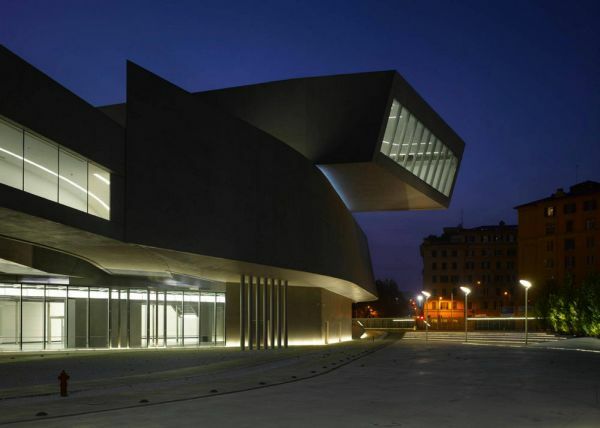 Dubbed by many as a ‘modern wonder worthy of standing next to the ancient wonders of Rome’, MAXXI is a work of modern art conjured up in cement, steel and glass. 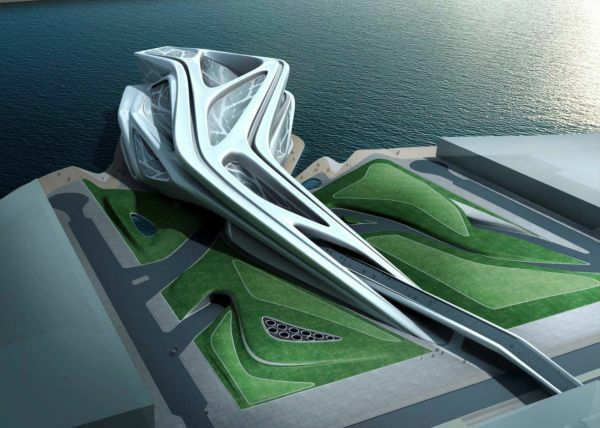 Since we are showcasing some of the very best work of Zaha Hadid, it is no surprise that many of these buildings have received several awards and honors. 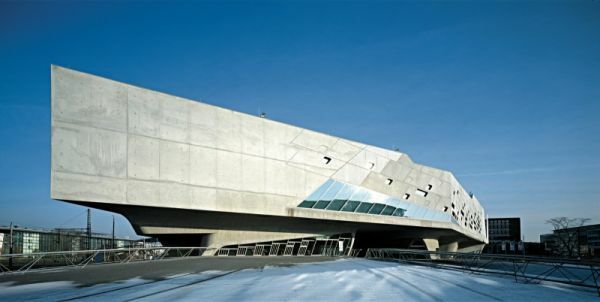 Winner of the 2006 RIBA European Award, the BMW Central Building in Leipzig, Germany, this is one of the more unique creations by the architect. 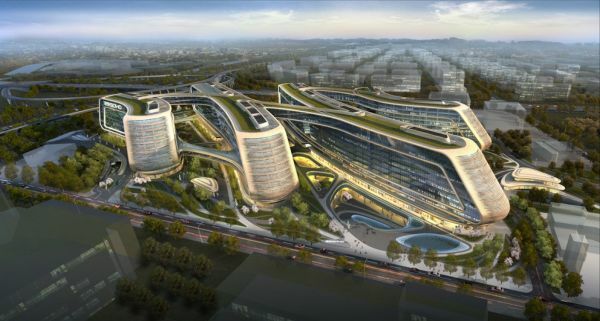 Designing a central Building for $1.55 billion complex that produces BMW 3 Series vehicle is a challenge unlike design of homes or commercial complexes. 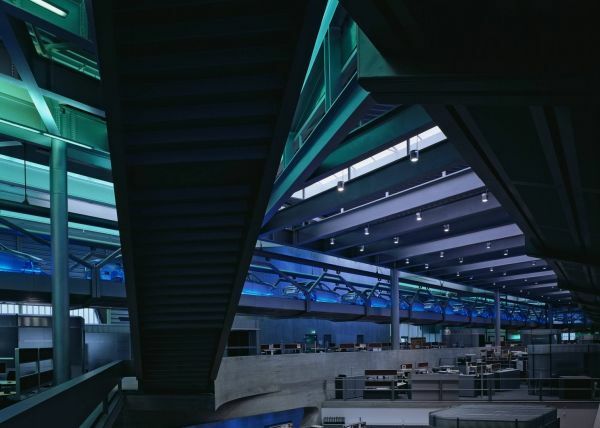 Engaging ‘nerve-centre’ or ‘communication knot’ – funneling all movement around the manufacturing complex through a space that transcends conservative white collar/blue collar spatial divisions. 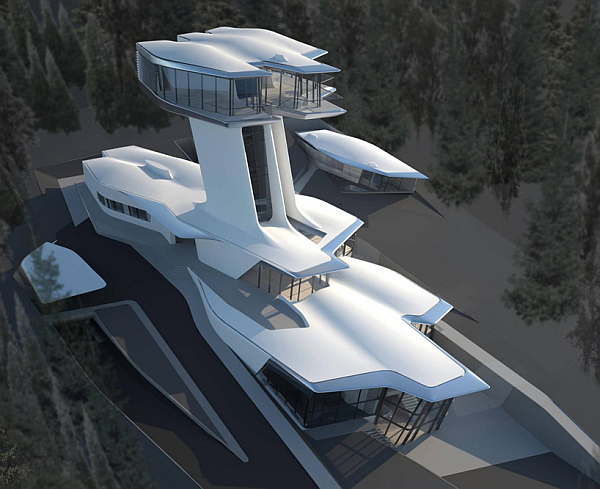 Russian billionaire Vladislav Doronin wanted a very special retreat in Barvikha, Russia, which he would share with his supermodel girlfriend Naomi Campbell. 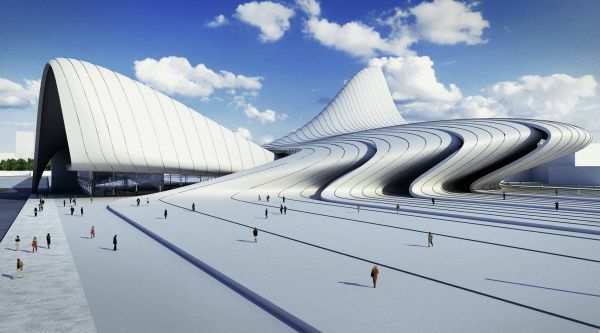 Enter Zaha Hadid Architects who came up with a space age design that would not just woo a superhot girlfriend, but also every Star Trek or Star Wars fan out there. 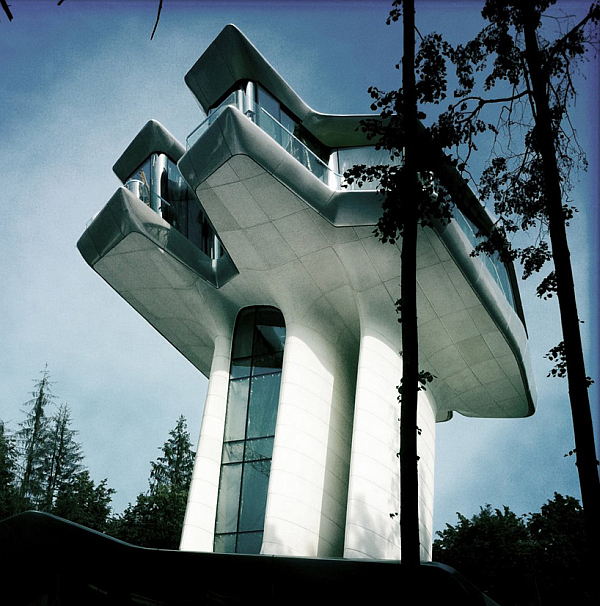 While rest of the residence is sleek and uber-minimalistic, the stand-out feature of this design is the periscope-styled 22 meter tall tower with private quarters on the top. 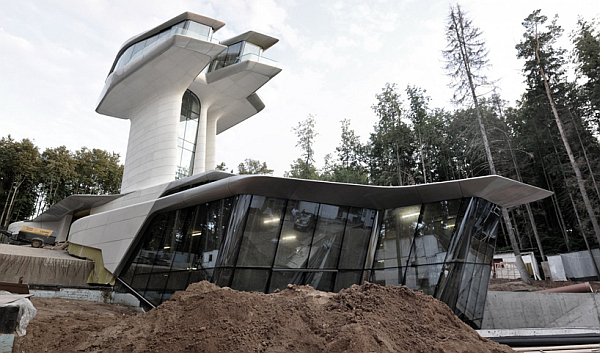 Promising amazing views of the surrounding landscape and draped in floor-to-ceiling glass windows, this is arguably the most ‘futuristic’ home you will ever stumble upon. 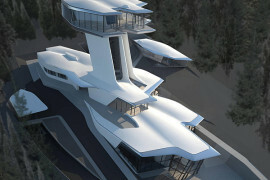 The whole thing seems like Starship Enterprise parked amidst Russian woodlands! 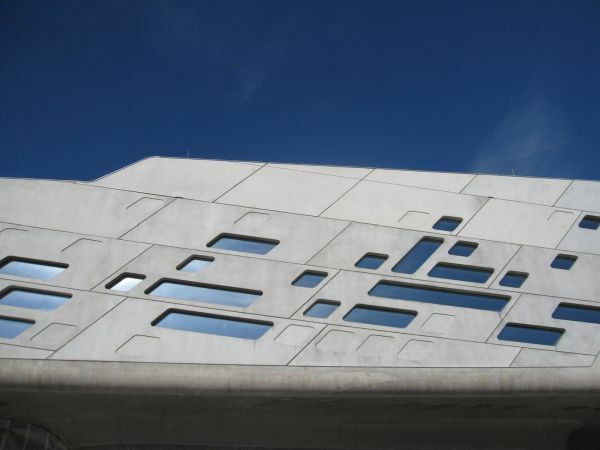 Four sleek and futuristic elongated buildings that are connected by lavish green sky bridges, is what most people would see when they look at Shy SOHO. 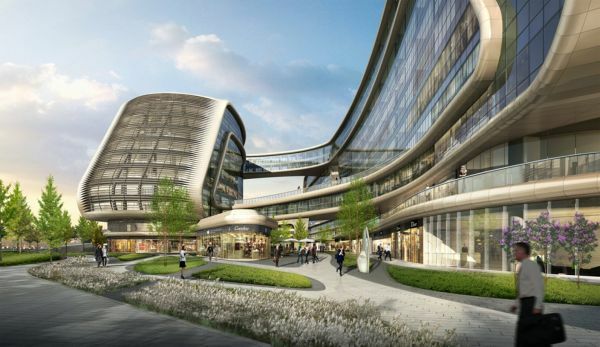 Designed to be the new retail and office destination for the SOHO group in Shanghai, the structure portrays a lot more than modern visual grandeur. 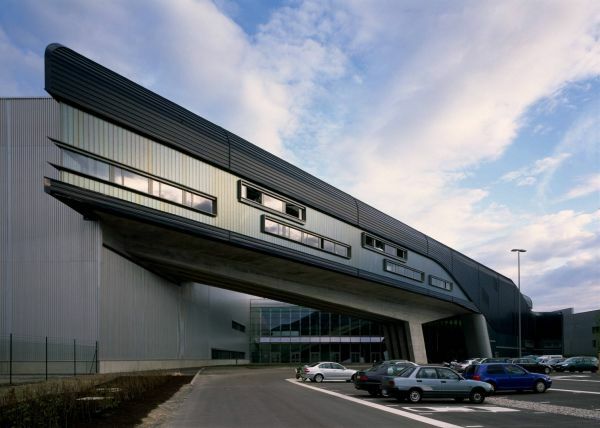 The entire complex with its unique sky bridge connectivity and continuous metal ribbon offers a visual ‘calligraphic gesture’. With plenty of courtyard space, dramatic views of the city and interlinking pathways Sky SOHO seems to blend sustainability with stylish and innovative form. 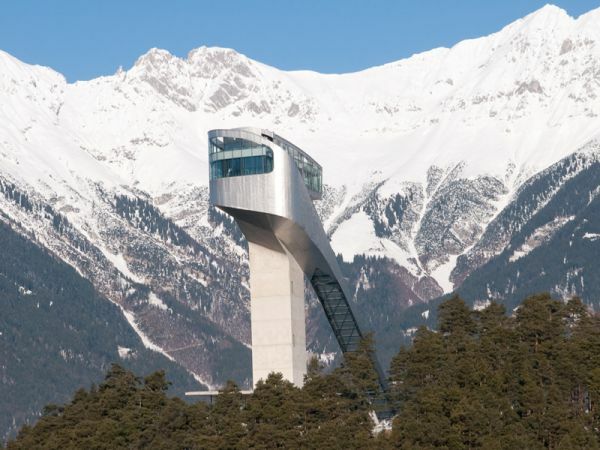 Bergisel Mountain in Innsbruck is probably not the place where you would expect to find a Zaha Hadid design. 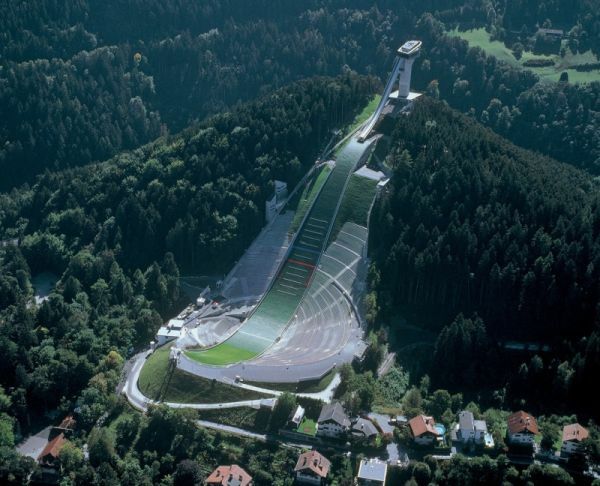 Yet, that is precisely where you will come across the imposing Bergisel Ski Jump. 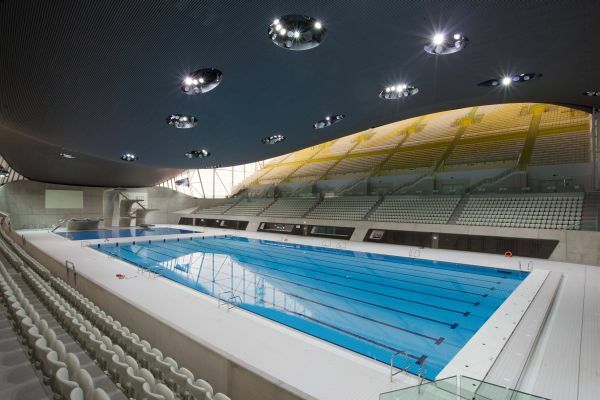 Designed as part of refurbishment project of the Olympic Arena, this breathtaking tower (quite literally) sports even a tower-top café and viewing terraces. Perfect amalgamation of stupendous form with a modern sports and recreational facility, it is equipped with twin lifts that lead you up to the café on top. 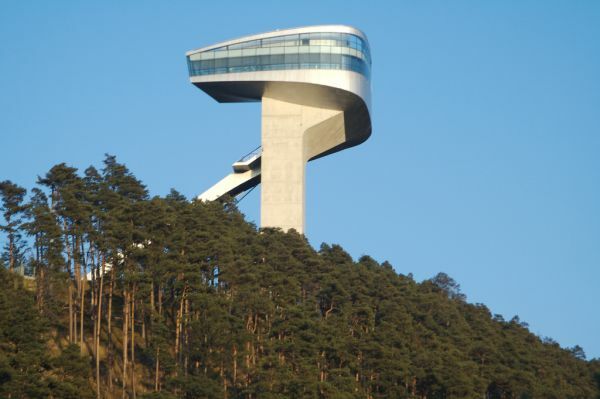 Rising to a height of 50 meters, the Ski Jump provides wonderful views of the majestic Alps as well. One of the things I feel confident in saying we can do is bring some excitement, and challenges, to people’s lives. We want them to be able to embrace the unexpected. 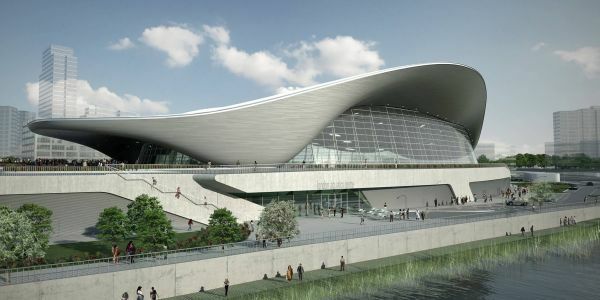 London Aquatics Center is not the only high profile sporting venue that will sport the Zaha Hadid touch. 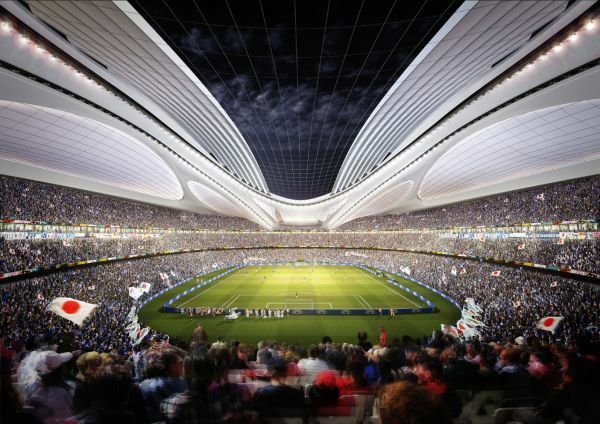 The New national Stadium that is taking shape in Tokyo, is slated to be done by 2018 and the extravagant ‘bowl structure’ should host the 2019 Rugby World Cup. 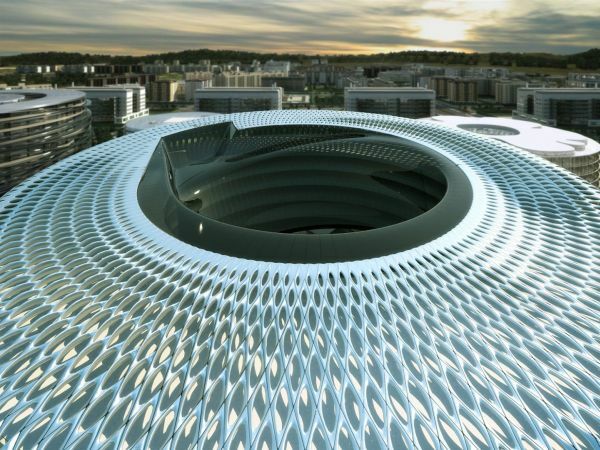 When done, the gorgeous stadium will have a seating capacity of 80,000. 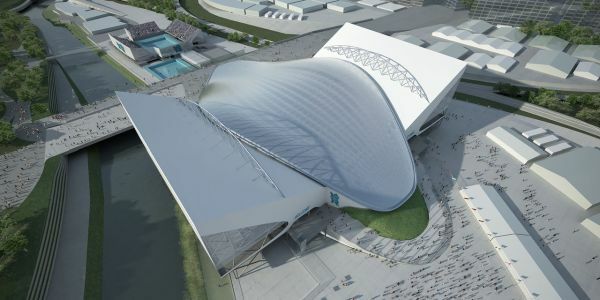 But the real ‘showstopper’ here is the stadium itself that woos you with its flowing curves and exquisite roof. 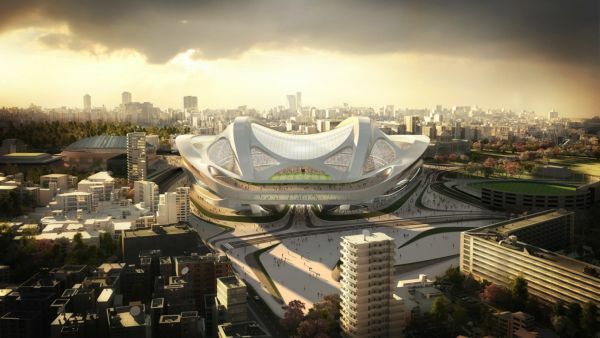 Blending into the contours of the city of Tokyo and yet standing out as an iconic image, the stadium will also include a museum that will showcase the region’s sporting history and tradition. 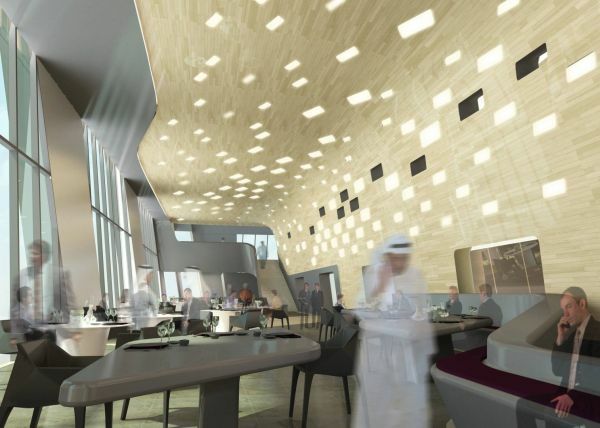 Ergonomics and movement of traffic inside the stadium have been given a high priority during the design phase. 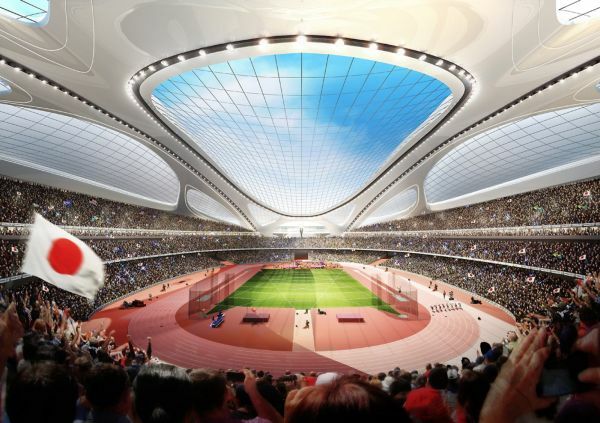 If Tokyo does land an Olympic bid down the line, expect this inspirational structure to play a pivotal role in that event as well. 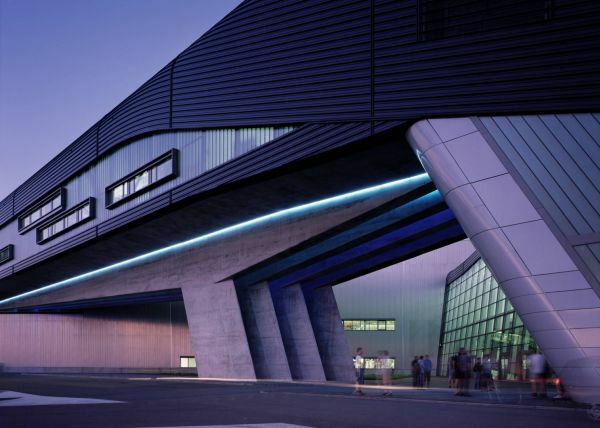 A glimpse into possibly the glorious future of design and architecture is what the Phaeno Science Centre in Wolfsburg offers. 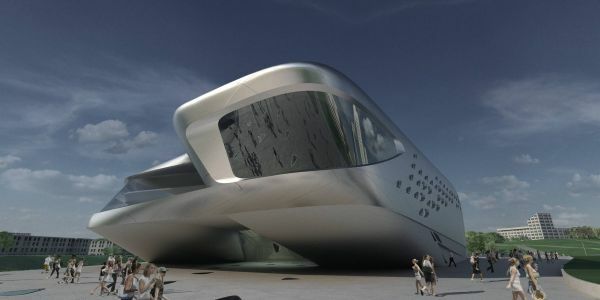 Completed way back in 2005, the interactive science hub won the prestigious 2006 RIBA European Award. 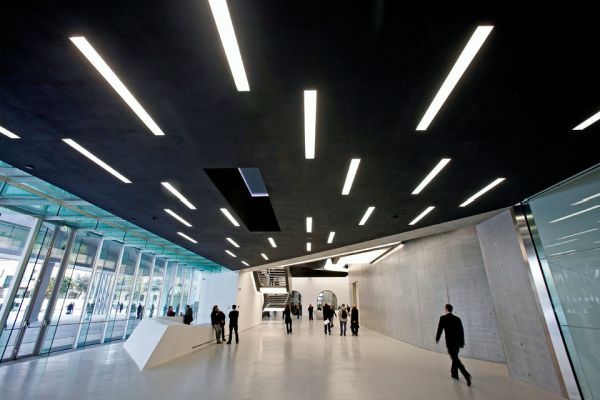 Garnering rave reviews from all over the world, it cemented Zaha Hadid’s place as one of the best on the planet in her chosen line of work. 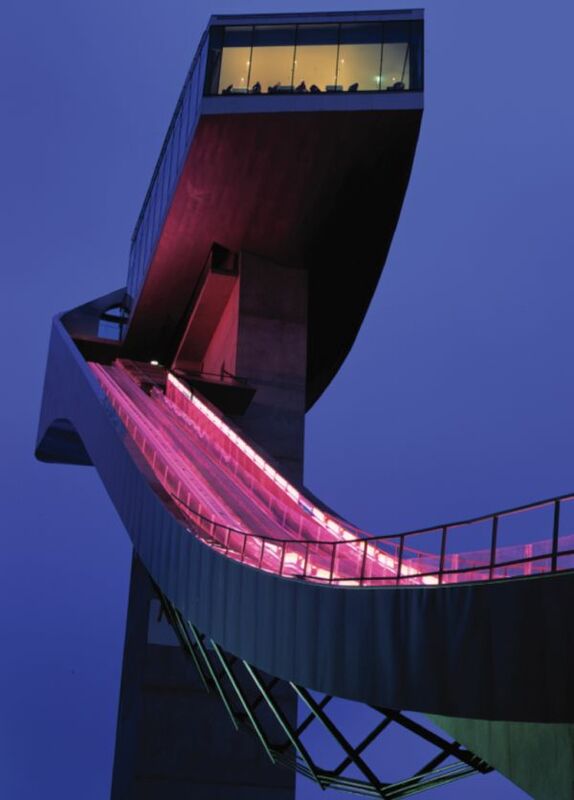 So staggering was the design’s impact on the future course of construction and design that it was included in the ‘7 wonders of the Modern World’ build after year 2000! Artificial hills, valleys, crater floors and a whole lot more await inside! 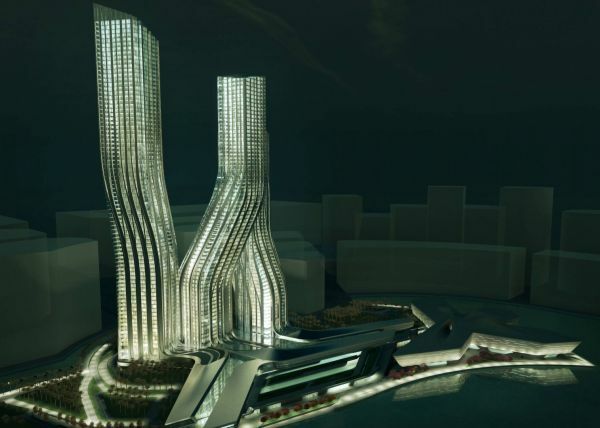 Signature Towers are exactly what they claim to be. 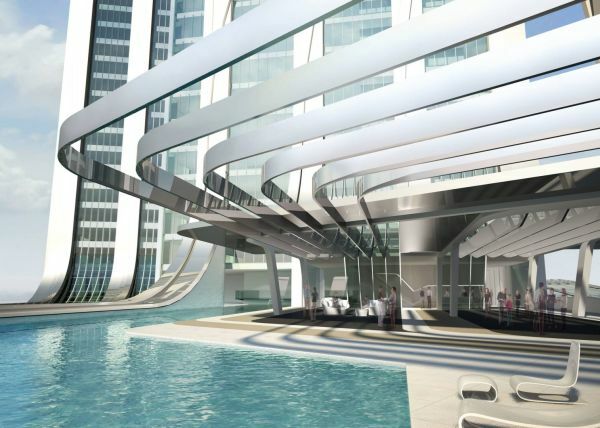 Just like all the major cities across the globe have an iconic skyline, the Signature Towers created by Zaha Hadid Architects will give Dubai and instantly recognizable and distinct skyline. Office, hotel and residential complexes are intertwined with one another in these interesting towers. 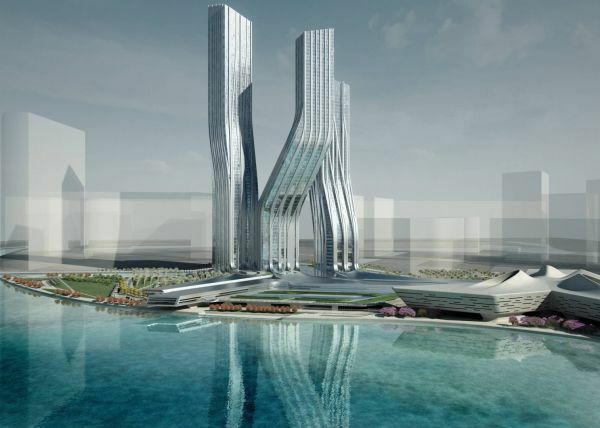 The three-tower mixed complex projects twisted and tangled edifices that are revolutionary in form, both on the inside and outside. 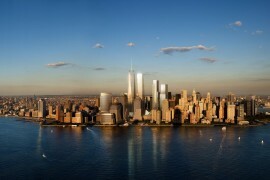 Intrinsically dynamic units constantly alter the appeal and the silhouette of the city skyline. 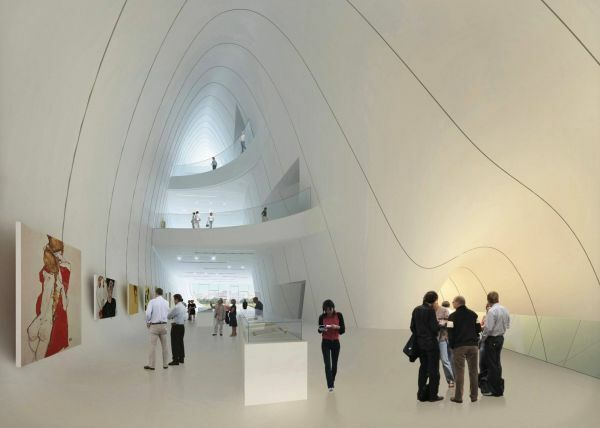 While colorful curves typify most of Zaha Hadid designs, the Vilnius Museum & Cultural Center brings an entirely new dimension of design forward. 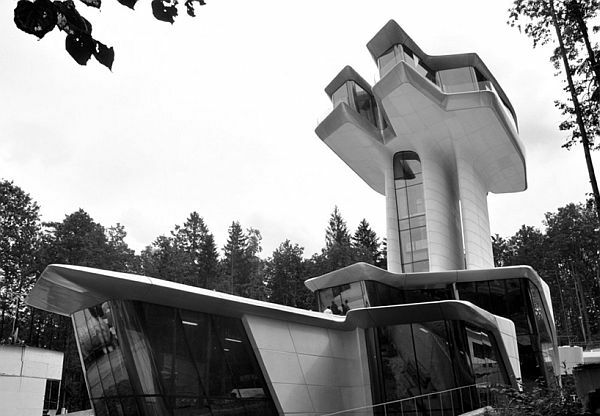 This futuristic building appears as if it is floating in the air thanks to the cantilevered design. 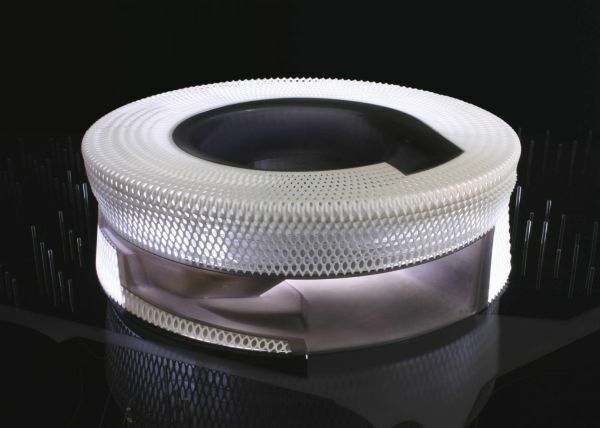 This brings in a sense of ‘lightness’ and ‘fluidity’ to the Center. 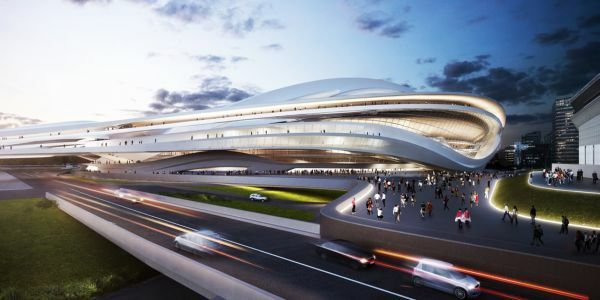 This ‘space-age’ look that is again brought forward with the elegant use of glass and unusual form presents a stark contrast to the more static and vertical city skyline. 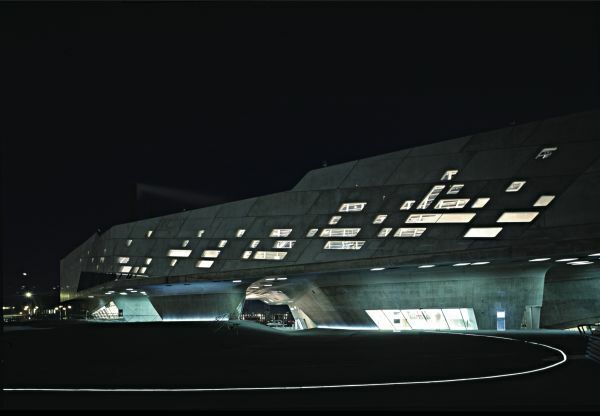 Shifting metallic panels and a structure that seems to float above the ground plan help create the inimitable look of the Madrid Civil Court designed by Zaha Hadid. 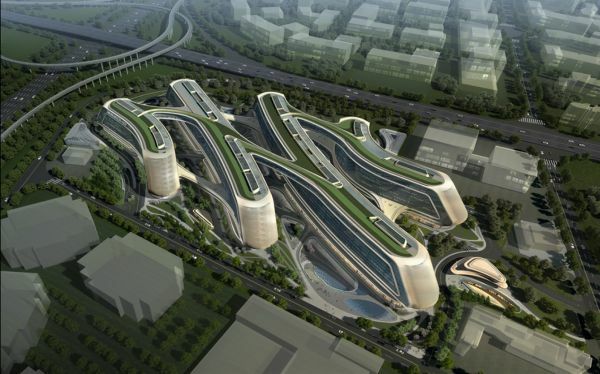 Once again audacious in form and dynamic in its nature, the structure is loaded with plenty of green features as well. 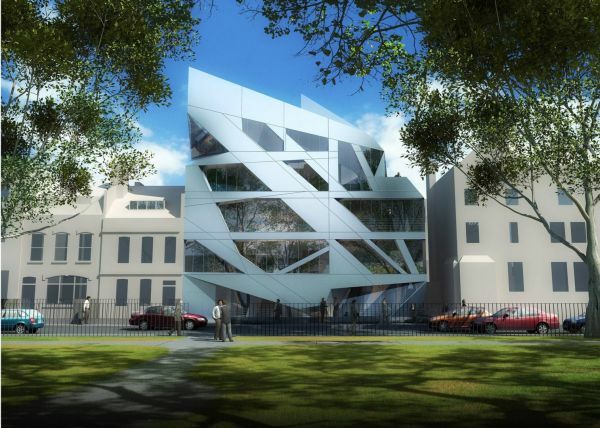 From integrated photovoltaic cells to natural ventilation and temperature regulation, the external metallic skin of the building helps in more ways than one. 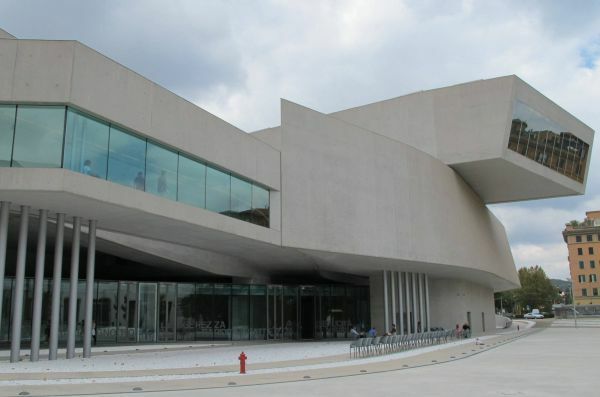 In both its formal language and architectural design the building contradicts the static configuration of its surrounding buildings, utilizing soft, dynamic tectonic turns. 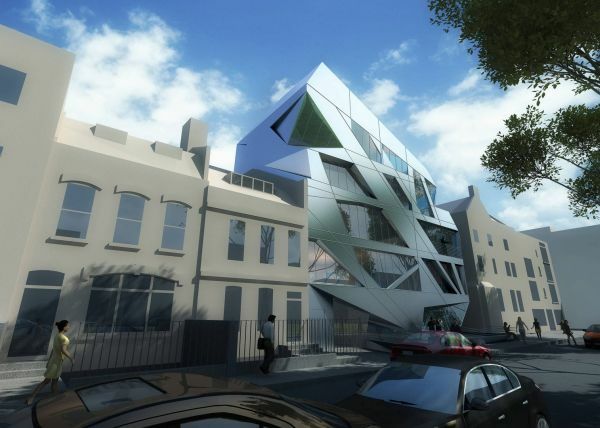 33-35 Hoxton Square Home in London is a fascinating example of drawing inspiration from various geometric forms. 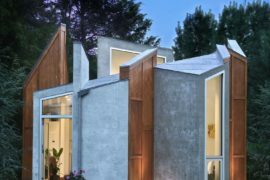 Crafted to mimic the shape of a prism, the home uses interwoven planes that regulate the movement of light. 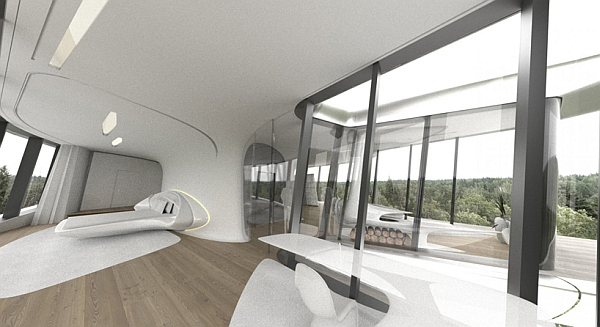 Offering great views of the world outside, the home plays on the intensity and movement of sunlight throughout the day. 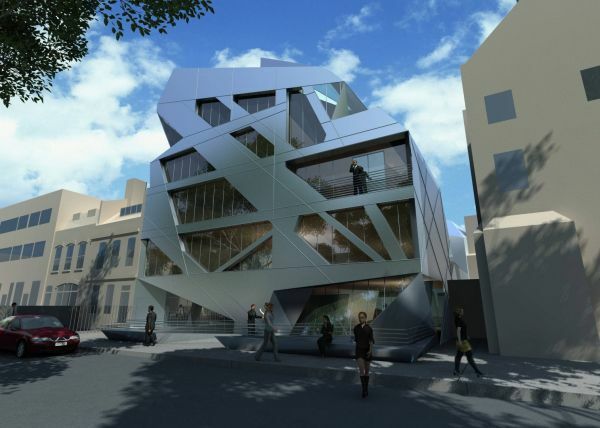 A two level gallery, commercial offices and eight residential flats will be housed here. Maggie’s Cancer Caring Centers have a unique history attached with them. Founded by and named after the late Maggie Keswick, the centers exude the founder’s belief that buildings have an ability to uplift people. 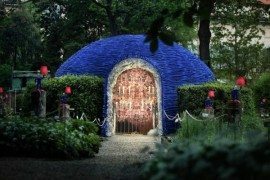 The Maggie’s Centers spread across Great Britain have been designed by some of the leading architects in the world to help propagate this line of thought. 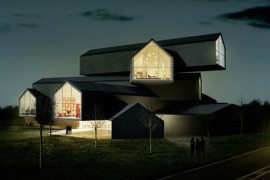 The one in Fife was designed by Zaha Hadid and present a relaxed and uplifting atmosphere in a visually appealing fashion. 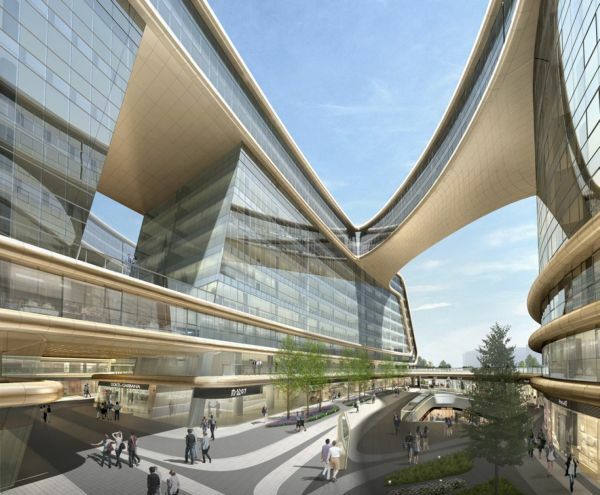 Set on a block next to Victoria Hospital, the Center stands out thanks to its special ‘folding design’, while providing a serene atmosphere for cancer patients. 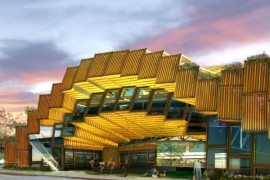 Large roof overhangs extend the building into the surrounding green landscape while also offer shade for the glass elevation. The interiors are divided into public and private areas with seamless connectivity and an open design plan.